The Shattered Lens on Facebook! The Shattered Lens on Twitter! 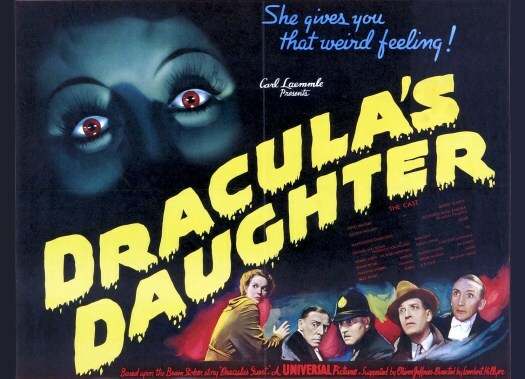 After the success of BRIDE OF FRANKENSTEIN , Universal decided it was time for a sequel to everybody’s favorite vampire, Dracula , with James Whale scheduled to direct. Whale opted out, putting DRACULA’S DAUGHTER in the hands of Lambert Hillyer , an old pro who dated back to silent William S. Hart Westerns, and was more comfortable with sagebrush sagas than Gothic horror. The result was an uneven film saved by Gloria Holden’s performance as the title character, Countess Marya Zaleska. 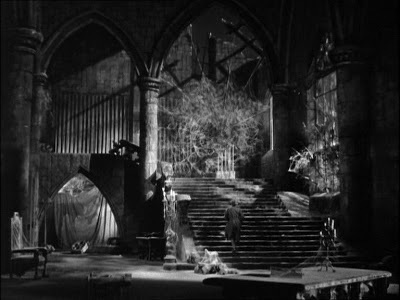 This entry was posted in Film, Film Review, Horror and tagged Cracked Rear Viewer, Dracula's Daughter, Gary Loggins, Gloria Holden, Halloween Havoc!, Irving Pichel, Lambert Hillyer, Nan Grey, Otto Kruger, Through the Shattered Lens, Universal Pictures. Bookmark the permalink. Happy April Fools Day From The Shattered Lens! From All The Humans and the Cat at the Shattered Lens, Happy Oscar Sunday! Happy Valentine’s Day From The Shattered Lens! Happy 2019 From All The Writers (and the cat) at Through the Shattered Lens! Thanksgiving Greetings From The Shattered Lens! Happy Friday the 13th From The Shattered Lens! Thank You For Celebrating World UFO Day With The Shattered Lens! Happy Mother’s Day From The Shattered Lens! Duke Tries A Halloween Marathon…Part Two. Duke Tries A Halloween Marathon…Part One. Here’s The Trailer For Gemini Man! Here’s The Trailer For See You Yesterday! A special Christmas Eve sing-along with your friend, necromoonyeti! Congrats to the Super Bowl Champion LI New England Patriots! Sailor Moon Crystal – Act 7 – Mamoru Chiba! Sailor Moon Crystal – Act 6 – Tuxedo Mask! A Glorious Fantasy: Finally, a Thief! Sailor Moon Crystal – Act 5 – Makoto – Sailor Jupiter! Sailor Moon Crystal – Act 4 – Masquerade Dance Party! Sailor Moon Crystal: Act 3 – Rei – Sailor Mars! Curse Of The Witch’s Doll: Movie preview, review, and trailer. Enough Talk, More Writing. The Random, Dumb Adventures of an Irish Guy In L.A.
What Is Lisa Marie Watching Tonight? Follow the TSL Writers on Twitter!